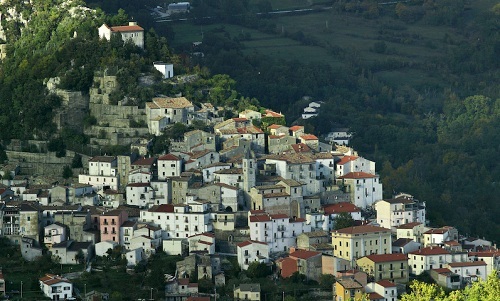 About 40 km from Campobasso we find Castel San Vincenzo, a very small hamlet with less than 600 residents located on the foot hill of the Mainarde Mountains, in the National Park of Abruzzo, Lazio and Molise. Perched on rocky ridges, Castel San Vincenzo was born from the union of two ancient villages and preserves almost intact the vestiges of a time when the town was founded: the Middle Ages. 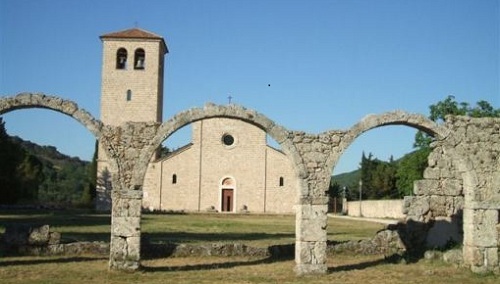 Here the ancient Benedictine monastery of San Vincenzo al Volturno used to stand up as one of the most important in the Middle Ages. According to the “Chronicon Volturnense”, a miniaturized code kept in the Vatican Apostolic Library, the monastery was funded by three noble people from Benevento. Subsequently Charlemagne in 787 allowed the monastery particular privileges, comparing it to the most important abbeys in Europe. In the first mid-century the area hosted about 350 monks. After many centuries when the monks had to go through the breaking down of the monastic properties, the abbey went under the jurisdiction of Monte Cassino . The sightseeing of the area starts by crossing the Ponte della Zingara (Gipsy's bridge) above the Volturno river. By visiting the archaeological area one can see the frescos in the Epiphanius Crypt, among the most relevant example of European medieval painting. The sightseeing ends in the ensemble of the Nuova Abbazia (New Abbey), going back to the XII century, but entirely reconstructed after the bombing attacks of WW2. 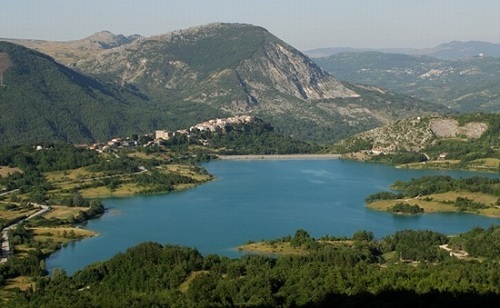 -A striking natural sight is offered by the artificial lake, another postcard landscape all year round. Castel San Vincenzo is both, nature and wildness. 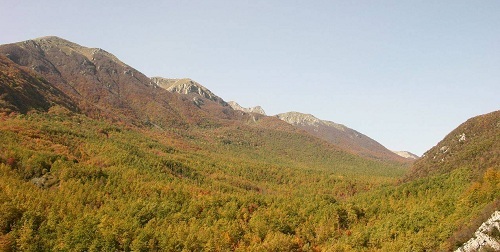 Ancient paths brings you into the Mainarde mountains, from the Valle di Mezzo with its woods, its water springs, its fauna (wolves, bears and eagles etc. ), to the top of Monte Mare.